In our continued series about our ‘Spica Warriors’ Ashley has been talking to us about her daughter’s DDH journey, which didn’t begin until Hollie was almost two. I first went to see our GP just before Hollie’s 1st birthday because I thought something was wrong and she was finally referred to a physio at 14months, who said she was fine. Hollie had a limp, often walked side ways (they called it crab walking) and would fall a lot more than the average toddler. After a couple of months, I went to our new Health Visitor to ask for advice as I knew something wasn’t right. She was now running and it looked very odd and had an even more noticeable limp. The HV referred to her to another physio who noticed something was wrong right away. I could see in her face she knew something wasn’t right. Hollie was sent for X-rays and we were called a few days later to say there was a problem and could we come in that week. 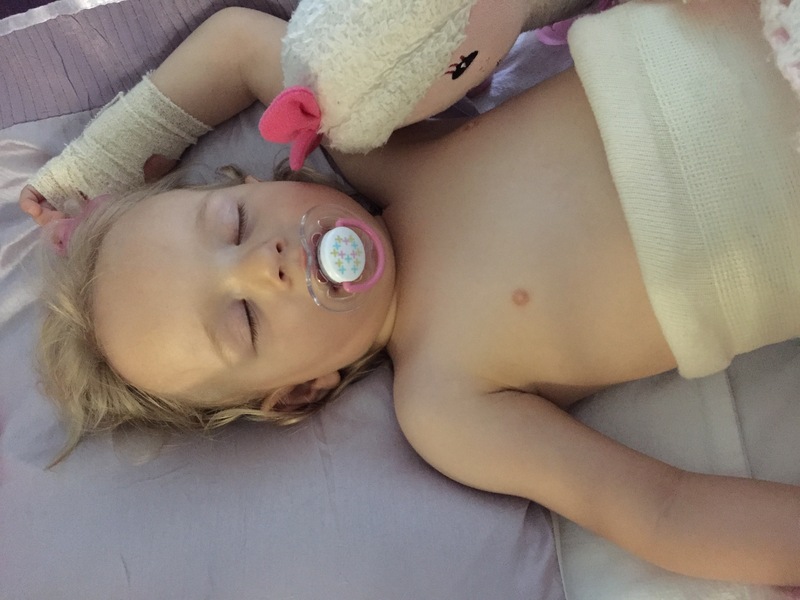 Hollie had a fully dislocated left hip and the consultant believed it had been like this since she was a few months old, if not from day one. 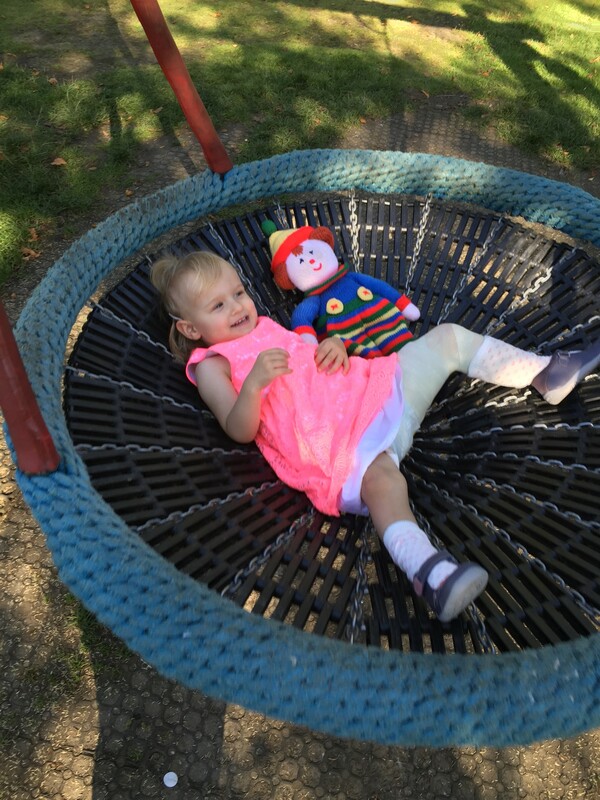 Six weeks later, the week after Hollie’s second birthday she went in for surgery. We were told she would in theatre for a maximum of 4hrs so to come back after 3 1/2 hours incase she came back early. So we did. She was away for a total of 6hrs 20mins and we were worried sick. As any parent would be. When she woke up she was vey sick and very pale but apart from that she didn’t seem to bothered by her spica. Later that night, whilst in hospital, Hollie suddenly became very distressed so much so we had to leave the ward and eventually we were found a side room and she cried herself to sleep. Hollie was kept in for a couple of days until she stopped being sick and her temperature was under control. The first few weeks were the hardest for us, Hollie kept trying to pull off the cast, tried to get off seats, tried to walk and all the time she was forgetting she couldn’t. Eventually things started to settle during the day and life started to become normal again, or as normal as it could be. The only main issue we had was sleeping, or lack of it. Hollie started to suffer night terrors most nights and it was believed she was suffering from a form of post dramatic stress due to wakening up earlier than expected. Hollie has now had her spica cast off for almost five months and things are starting to return to normal. At our first appointment the doctor was not overly impressed as Hollie was still very stiff when walking and believed she may still be getting muscle spasms. At the moment Hollie is having at physio and this is expect to continue for the next eight months. We hope Spica Warrior is able to reach out and help families like us to deal with what can be a scary uncertain time and also work with medics so they know what to look for and DDH is picked up sooner. We wish them lots of luck in the future. Thank you to Ashely for sharing their story and for her continued support of Spica Warrior.